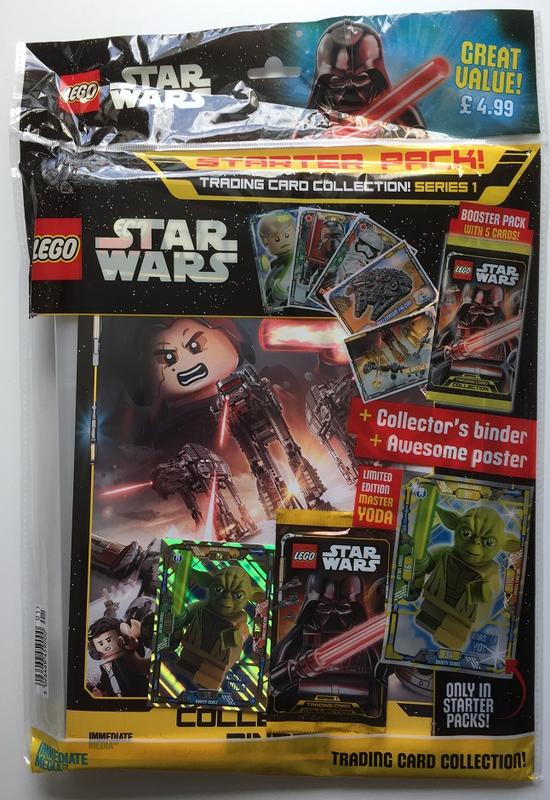 My brother has recently started collecting these new cards (by Immediate Media) which feature SW characters in LEGO, along with loads of foils, and 2 gold cards. Subset of vehicle cards which show images of sets plus a few of their stats (some are the UCS ones, including the Falcon V2). Not a bad looking set of cards. There are 20 Limited Edition foils, which are available in special packs/tins, and magazine issues. However, based on how many packs I had to buy to complete a Sainsbury's card set, I'm estimating that I will need to open at least 200 packs of 5 cards at £1 each to find all 252 cards. Probably also need to spend another £50 to get the 20 limited edition cards. I'm just not sure the cards are worth it. Have any AFOLs out there started collecting these? I could see maybe working them into a minifig display of some sort as backers or something, but as a collectible to tuck away I doubt they would be worth much in the future. IMO. My brother has found both gold cards (rarest in packs at 1:25) and has all the LEs currently available - 1 in starter pack, plus 6 via booster packs. 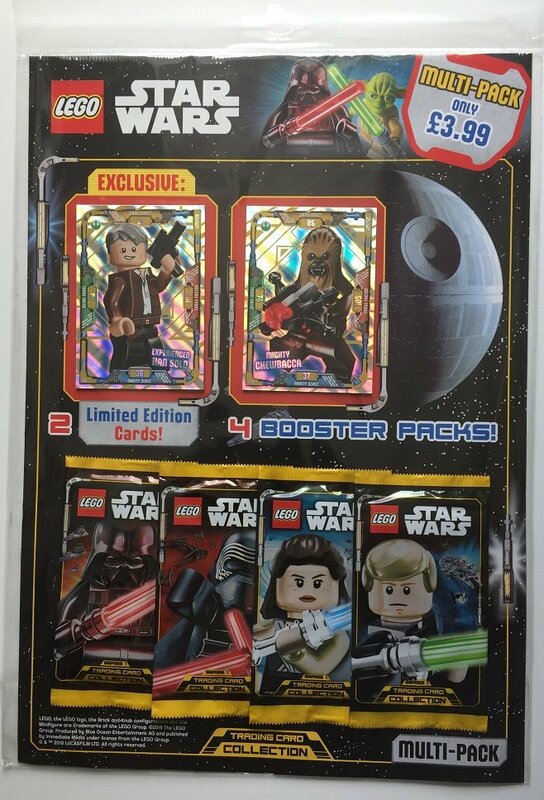 The remaining LEs are to be found in tins (available October), plus 1 each in Octobers LEGO SW Magazine, and MEGA magazine. I'm collecting these, anyone want to do swaps with me? Has anyone seen these in the US? Or if someone wants to assemble a set for me in the UK, I got plenty of stuff to trade! My brother got the 3 tins today (Yoda, Kylo Ren and Boba Fett). All 3 contain 5 packs and 3x LE cards. 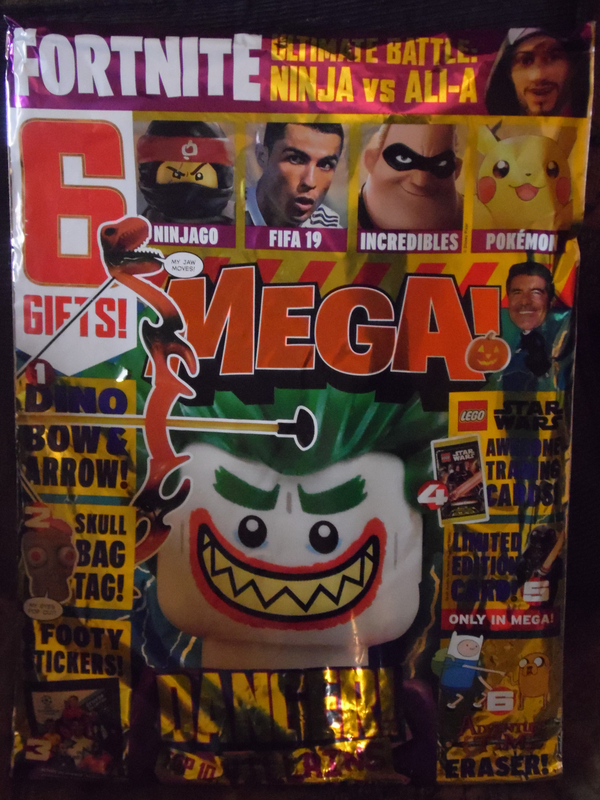 Latest edition of MEGA Magazaine is out - Got LE19 (Anakin vs Dooku) card, plus 1 packet included. So my brother is now just missing LE20, which is supposed to be coming with LEGO Star Wars Magazine. The original release for this set (in Germany) had 4 extra LE cards (LE21 - LE24). Poe's X-wing is the set for this month, and the second set is from a previous month; I got an Imperial Shuttle. Anyone in UK want to swap some cards...I've a whole load of duplicate cards but need around 50 more to complete collection. Thanks. I'm useless for trades, but I will gladly scarf up your extras! This is just a ploy by the baseball card industry to get LEGO fans hooked, and squeeze more money out of them. And... SomeLego is fine wid dat? Well, yes. That is the point of a colluding conspiracy with a master scheme of ulterior motives. So. Anyone out there still up for some swaps? i think with a little help form eBay (sad option but there you go) I have completed the main runs but with the spares I would like to complete a final set. Don't need to many and happy to swap anything I have for whatever people want to swap for. PM if you can help. LE1, LE2, LE3, LE11, LE12, LE13, LE14, LE15, LE16, LE18. You are lucky to have those. I wish I could get them. The details don't actually show the exact date - it only says December 2018. I suppose we'll just have to wait. the cards are now available on the site, and are oddly priced, with some cards available for free, and others at 25p each. 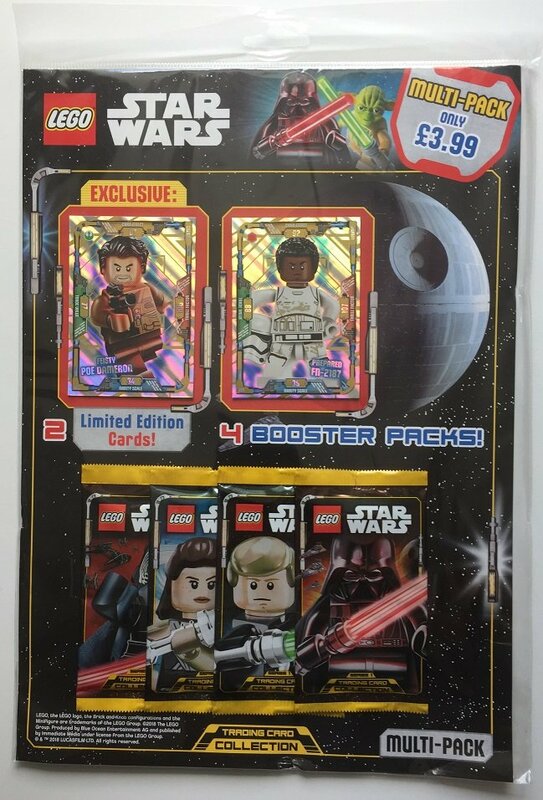 What is odd, is that Jedi Anakin is free, while Jedi Luke is 25p (they're both Jedi cards). This is going to destroy the dealers on ebay - the gold cards are on sale for 25p each as well! I noticed the LEs were not there. Didn't notice that #9 was missing - not that it matters to me. I emailed them and asked. No 9 now added to site. And they have confirmed they will not be selling the LE cards, no idea why. so before I tall evilbay and overpay, anyone about to help out in LE cards? The ones I need are listed a few post up? Lots to swap if it is just for random swaps or not. Haven't got any LEs to swap. Can't find any tins either. Wow. At lunchtime they were all 25p a card - that is some serious fluctuation in price in a short time.